Franchising is a big, big world, spanning everything from small players making their way to giants like Subway and 7-Eleven. 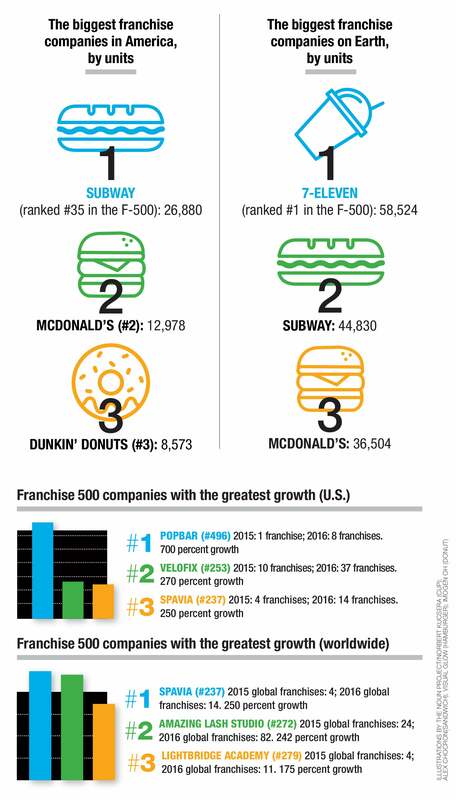 In putting together Entrepreneur's latest Franchise 500 rankings, we stumbled upon some eye-catching numbers -- ones that inspired this infographic. Take a look and learn which company saw the greatest percentage growth last year and who takes the cake for the biggest franchise company on Earth.